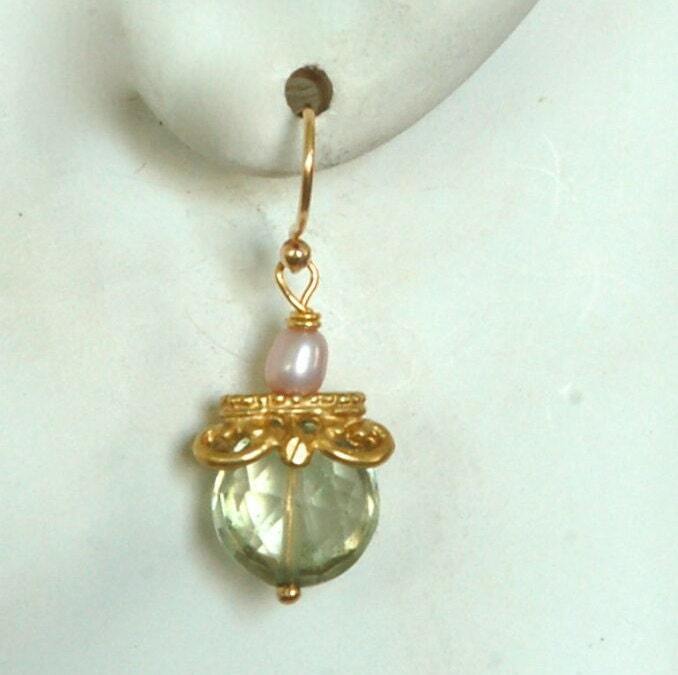 Faceted round green garnets are topped off with a gold plated filigree cap and rose fresh water pearl. 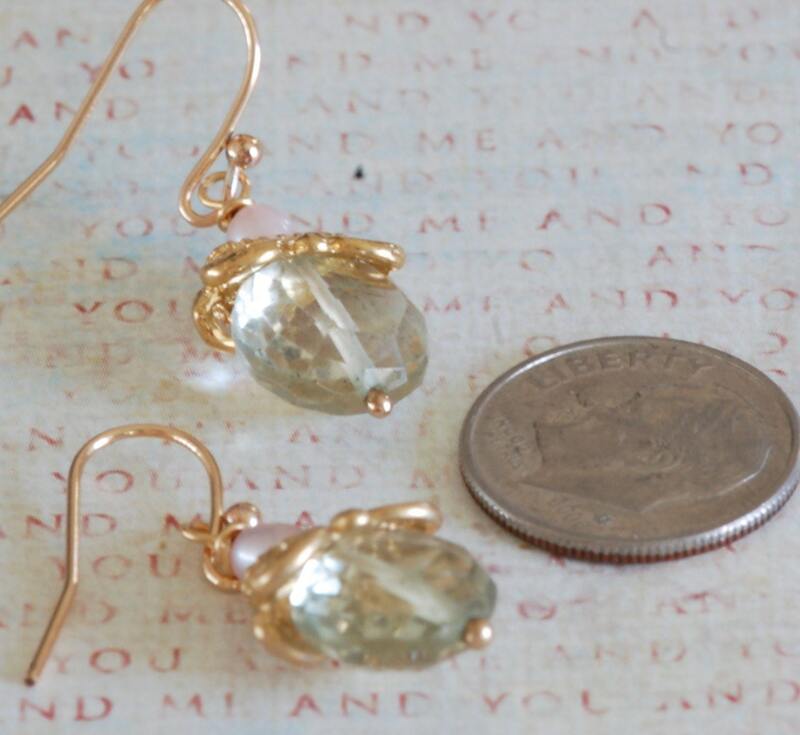 The earring dangles from a gold filled shepherd hook. 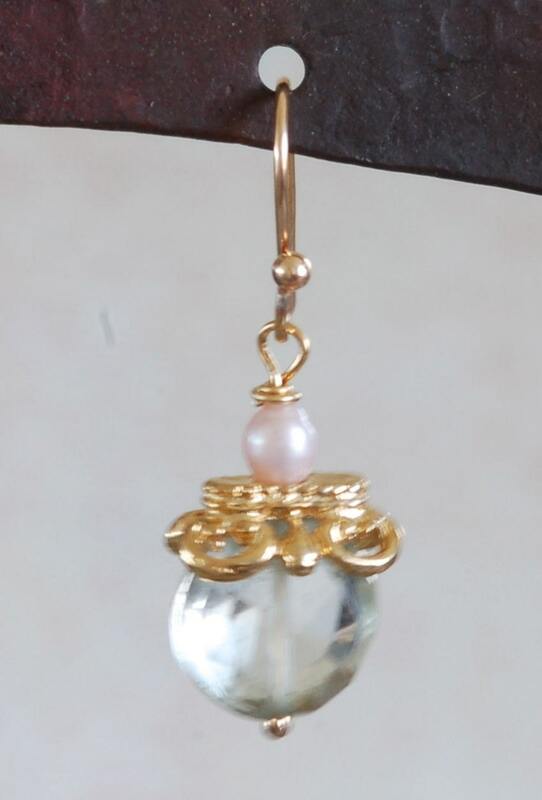 Truly beautiful and romantic earrings. Approximately 1 inch drop. Green garnet is 10 mm round.